If you close your eyes in a quiet place you will start to feel the rhythm of your breathing, your heartbeat, the pulse in your wrists. All these phenomena tell you that you are alive, but they are also an example of wasted energy. In a perfect world, the human body could become a source of renewable energy in which our breathing, our heartbeat and even the flow of blood through our arteries could be exploited by tiny power plants. For years, scientists around the world have already been working on the construction of these plants, using special materials that are sometimes reduced to nanoscale size. The goal, they say, is to create a new generation of devices that can use the body’s energy to power pacemakers, diabetic alert systems and many other devices that would measure vital signs in real time without using more electricity than can be extracted from our movement or that of our organs. As well, because the materials function in the same way, Wang says that from a technological point of view there is no difference between implanting inside the body or on the skin. So far, devices have been developed that are capable of generating electricity through the movement of limbs, something quite obvious, but also from biochemical phenomena such as glucose oxidation or the electrical potential generated in the inner ear where sounds enter. A still harder task is being carried out by the team of Rolf Vogel, professor of cardiovascular engineering at the University of Bern. In 2013 Vogel and the rest of his team presented a system that in theory can extract energy from the deformation of a tiny artery when blood passes through it. This year, Vogel published the first example of a “vascular turbine” able to generate electricity and power a pacemaker. In pacemakers today, the battery must be replaced every eight or ten years, requiring surgery. One of the most surprising developments in this field has been a chip capable of converting the heartbeat into electricity. The energy extracted was enough to feed a conventional pacemaker, an important step towards a new generation of implants whose batteries need no recharging. The new implant, developed in the U.S., seems like a chip similar to the ones in any mobile phone, but it is really made of nanometric layers of lead zirconate titanate, a piezoelectric material that generates electricity with every heartbeat and sends it to a small battery where it is stored. Everything is mounted on a silicone layer that is implanted directly into the heart. For now, its creators have tested it on cows, pigs and sheep, the first time such a device has been tested in human-sized organs, and it has been a complete success. The device has generated the energy required and has not caused problems of rejection, according to John Rogers, leader of the study and a researcher at the University of Illinois (USA). 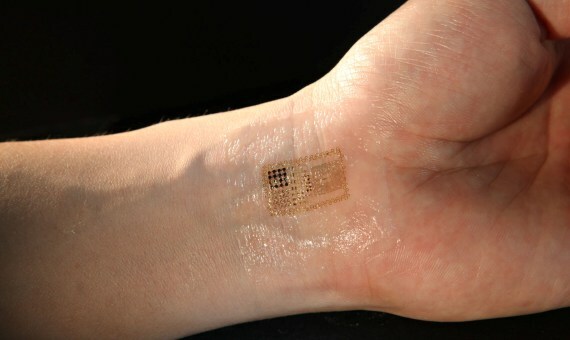 In 2011, Rogers developed a chip-tattoo that sticks to the skin and works even while bending and stretching, which appeared in the prestigious journal Science. The crucial step will be to do the same in humans. The testing of implants such as these mentioned must pass clinical trials in patients that can last for years and many developments of this type fail. Other times it is simply too expensive to bring them to fruition. It is still unclear what the exact application will be. 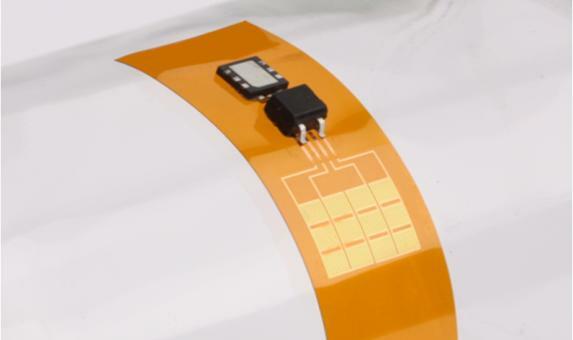 Possibly the first will be in consumer electronics, rather than medical, in the form of small external chips capable of powering a heart rate monitor or similar device with our own energy. Later on, things can change a lot. “It is very difficult to predict, but in 20 years I think the barrier between consumer electronics and medical electronics is going to disappear,” says Ernest Mendoza, of the nanomaterials group at the Polytechnic University of Catalonia. The expert believes that the major impediment to these types of devices is that, for now, they are too expensive. This will change as soon as a large consumer electronics company decides to “target” this field, which is already being timidly done by companies like Apple whose iWatch will have energy recovery systems, says Mendoza. There will be devices that measure pulse rate, heart rhythm or information on a particular condition such as diabetes using some of that excess energy that today our bodies waste. “We will have real-time information on our health thanks to such devices and you will no longer go to the doctor when you feel bad, but rather when the device tells you to do so,” Mendoza concludes.